We're finally beginning to see some light at the end of the tunnel. For the past decade or so, scooters in India were a set formula  110-125cc engines, a strong focus on commuting and fuel efficiency and in most cases, also ensuring the scooter is fit to be deemed a 'family scooter'. But the past couple of years have seen manufacturers actively step away, as a lot of the newer 125s have design, performance and handling take precedence. And I'm happy to report that the Suzuki Burgman Street is an even bolder step in the right direction. Maxi-scooters have always been desirable, but their prohibitive pricing (apart from other reasons like lower efficiency) has seen manufacturers shy away. 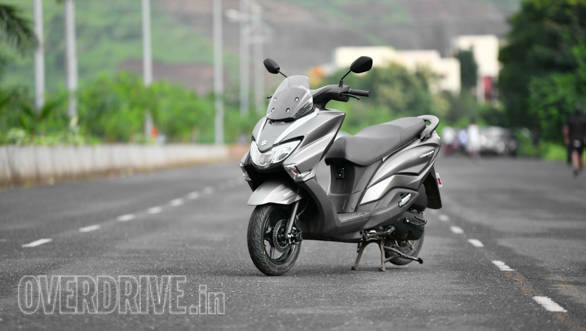 The Burgman Street may not be the first maxi-scooter in the country, but looks promising for a lot of reasons. It has the same powertrain and underpinnings as the super-successful Access 125 and is priced reasonably well too. But does it deliver the goods in the real world? A couple of days in its saddle helped me decide. The Burgman Street's design is a breath of fresh air  with styling inspired from the bigger Burgmans sold abroad, it looks very distinctive and has excellent road presence. A lot of credit goes to the front apron's width and muscular design, as also the upmarket looking all-LED headlights and the windscreen, which adds a lot of elegance. Considering that the Burgman Street is just a 125, the screen serves a more cosmetic purpose though, but does a good job of it. 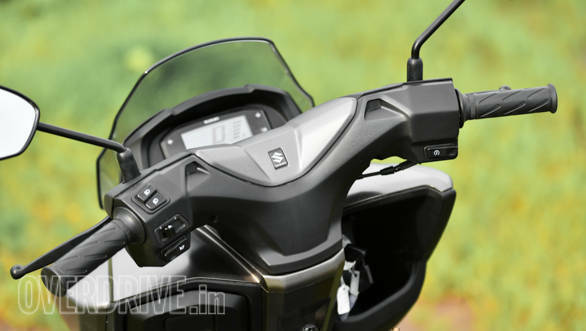 Nestled behind the screen is the fully-digital instrument cluster which integrates a large speedometer along with other vitals and is legible, though the positioning is unconventional as compared to other scooters, where the cluster sits on the handlebar. The handlebar is positioned low for better comfort, but taller riders might find it too low. There's a bottle holder and a glove box underneath and the glove box houses a 12V socket while a USB port is on offer as an accessory. The glove box is covered, but I wish it was lockable too. The seat is wide and plush and is a stepped, single unit. Underseat storage isn't larger than the Access 125, which is disappointing considering this is a bigger, more premium scooter. The Burgman Street thus will not hold most large-sized full-face helmets. The rear end is compact and looks good thanks to the all-LED stop lights. On the whole, the Burgman Street is sure to impress upmarket, metrosexual scooter buyers with its design, as also the large dimensions. Build quality is excellent, which adds to the premium feel. With that said, I would like the Burgman Street to also come equipped with bits like a rear brake lock, engine kill switch and an external fuel filler cap to add to the feel. 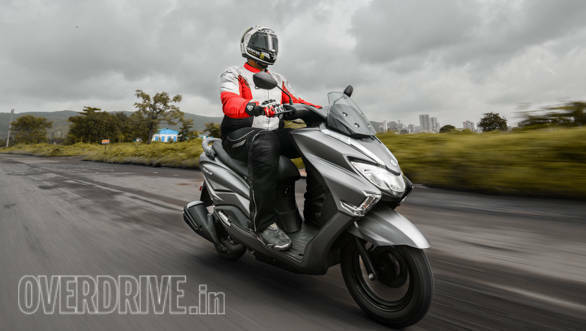 The Burgman Street is powered by Suzuki's tried and tested 124cc single cylinder engine that has been performing duty in the Access 125 for over a decade. The engine feels as smooth as ever, though it sounds a bit gruff at idle here. It offers the same 8.7PS and 10.2Nm, so sprightly performance is a given. The Burgman Street isn't the quickest accelerating 125cc scooter  it managed a 0-60kmph time of 10.15 seconds in our VBOX tests  but acceleration is reasonably good, considering the Burgman is 7kg heavier than the Access at 108kg (kerb). I'm wondering if plonking the Gixxer's 150cc engine instead would have been a better idea. That said, overtaking and making rapid progress through traffic is easy thanks to the strong bottom-end and midrange grunt. The Burgman Street is also at ease holding speeds well above 60kmph without the engine feeling stressed, which makes for relaxed highway runs. I would have liked a better top end though, as it would have added to the scooter's highway credentials. The Burgman Street impressed on the fuel efficiency front too, returning 44.3kmpl in city. This is where the Burgman impresses the most. The seat is wide and accommodating and well-cushioned, while the footboard lets you place your feet comfortably. You could either put your feet flat like most scooters, or stretch them and place them like you would on a cruiser motorcycle thanks to the design of the insides of the front apron. The low handlebar adds to comfort, though taller riders will have it touch their knees when turning full-lock. Seat height is good enough for shorter riders to put their feet down too. The suspension is well-balanced and while bumps and potholes are soaked up well by the telescopic forks and rear suspension, handling and stability at speeds are good too. The forks look spindly under the wide body but manage a commendable job of inspiring confidence and make for a very communicative front end. This helps around fast bends while quick directional changes are a cinch too. 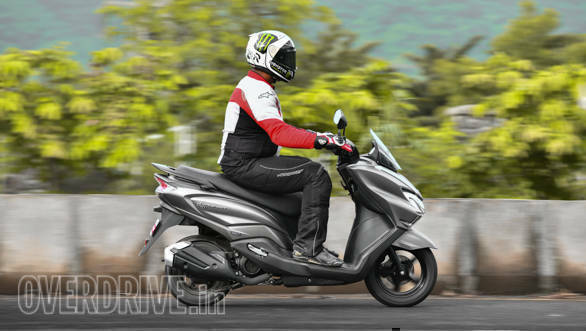 The Burgman Street is surprisingly easy to ride through traffic despite its size and feels confident, also courtesy the 90-section tyres at both ends. Braking is excellent too  the Burgman came to a full stop from 60kmph in just 20.11 metres in our VBOX test, as the front disc brake and rear drum brake work together courtesy the combined braking system. 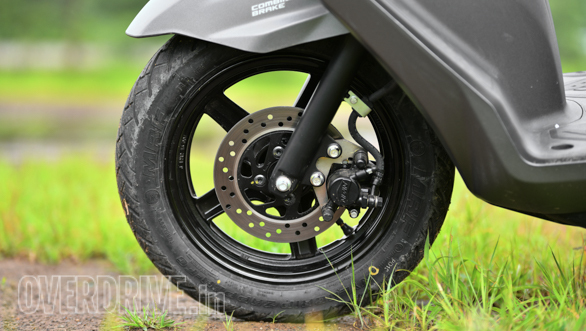 The front disc offers a very progressive feel and I'd go as far as saying, the Burgman Street's brake feel and retardation is among the best in class. The Burgman Street certainly raises the bar as far as premium scooters go. 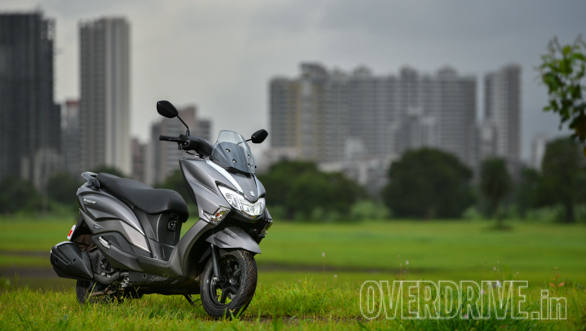 One might argue that at Rs 69,671 ex-showroom Mumbai it costs Rs 9,000 more than the Suzuki Access 125's CBS version which is mechanically identical, but you also need to consider what the Burgman brings to the table. It gets a far more premium design with more road presence, is bigger, more comfortable and also gets more equipment. 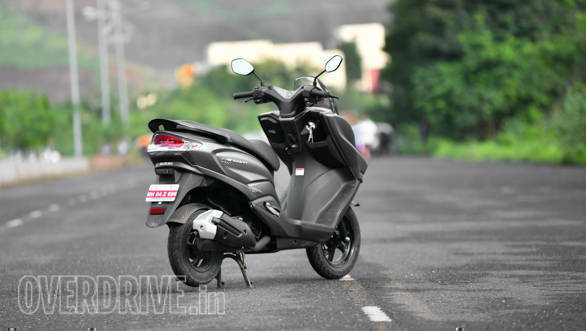 This makes it a well-rounded package at the price, and it also revives the long forgotten maxi-scooter segment. 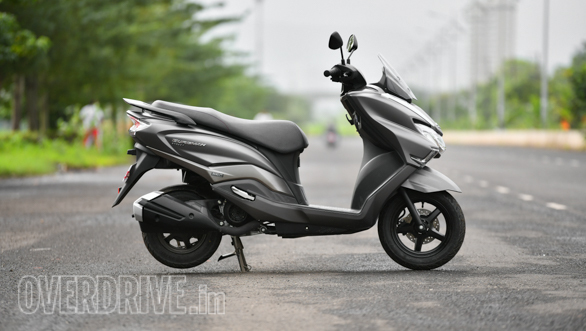 That said, the Burgman Street's price isn't significantly higher than other 125cc scooters like the Aprilia SR125 (Rs 66,076 ex-showroom) and the Honda Grazia DLX (Rs 65,067 ex-showroom), though the TVS Ntorq 125 undercuts it well, priced at Rs 62,750 ex-showroom. Competition in the premium 125cc scooter space just got hotter  and Suzuki might just have another winner in the Burgman Street, just like the Access 125.